Surrounded by family, Marg passed away at Bow View Manor. Born to parents Oliver and Mildred Davis, she was raised with her brother Gordon on the family farm in Southminster. Growing up, Marg excelled in figure skating, curling, softball and track (setting a provincial record in 100 yd dash). After high school graduation, Marg attended UofA and went on to work as a lab tech in Edmonton and later in Calgary, where she married Earl Scott in 1956. Marg ran an active home, raising three energetic children. 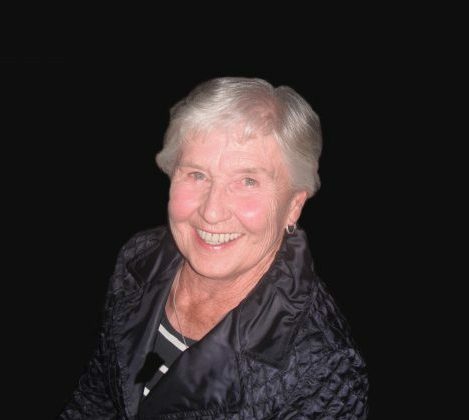 Marg was an avid curler (CWC, Westwinds, CCC), competing in National Championships several times, golfer (CGCC – past president of the Ladies Section, Silver Springs,) and bridge player. She took pride in her volunteering with CHAS and the Calgary 88 Olympics. Teaching us the importance of family, she had unending energy to bring us together, celebrate and share. She hosted wonderful Christmas dinners and managed to put the same love into a simple BBQ with beer. Grama cherished her twelve grandchildren; spending time with them at home, at Shuswap or partaking in their many activities, as well as ensuring they each learned to golf and taking them on a special vacation. Marg’s passion lives on in her family: Jeff (Jennifer), Drew, Shelley (Greg) Wearmouth, Alta, Meghan, Robyn, Tom, Leah, Amy, Carly, Brian, Ian, Curran, Tessa, Josie (predeceased), Francis and Roma. Brother Gordon (Betty) Davis, Noelle (Paul, Helen, Anna), and Joe. She will be remembered for her classy but genuine style, her kind social demeanor, love of animals, and of course her keen competitive nature never over shined by her sportsmanship. The family would like to thank Rita Calimag, Dr. Todd and the Bow View Manor staff for unwavering compassion and professional care. I had the pleasure of knowing Marg, and curling with her for some time, at the Winter Club. We competed at the Tournament of Pearls many years ago in Edmonton. Marg was a sociable, polite, keen competitor, and being with her was a treat. oppoaiton. I always enjoyed her company. My condolences to the family–a big loss. Condolences to the Scott family on the loss of your mother and grandmother. Alta and Jason…you’ve been on quite a ride this last week with the loss of two grandmothers and I’m so sorry but we have gained two angels. Love and prayers …Garry & Sharon Bratt.